It’s a big call, to try to compile a list of my favourite novels. I’ve somehow managed to narrow it down to 17 because I want to give you an idea of the sorts of book reviews you’re likely to find here on my website. Whether a book is ‘good’ or not really comes down to a matter of individual taste. If you find some of your favourite books in this list too, then chances are you’ll also like some of the other books I recommend. food for thought – I like to finish a book and have something to chew over in my mind. This list isn’t in any particular order – ranking my favourite novels was just too hard – and I’ve split it into genres (some of which I may have kind of made up…) – speculative fiction, dystopia (which is technically a sub-genre of spec fic), humorous fantasty/sci fi, historical fiction and contemporary fiction. This is a love story that centres around the concept of time travel as an uncontrollable genetic disorder. This book is so intense, I absolutely loved it. I’ve read it twice. Tip: The movie is, by comparison, awful. My advice would be to skip the movie altogether and just read the book. This is an incredible survival story of a young boy literally cast adrift at sea after a storm sinks the boat carrying his family. His companions are zoo animals – some friendly, some not. It’s also so much more than that. Life of Pi is one of those books where you read to the end, then turn around and think, ‘Hang on, what?’, then feel like you want to go back and read it all over again. I’m not sure this really needs any introduction, does it? I studied this at school in 1997 and it was as powerful for me then as it is now. And if you’re wondering – yes, the television series is awesome. I’m very much looking forward to seeing what path they choose to take in season 2. This is a bit of a cheat – it’s really 3 books. I love this entire series. Not sure it needs much more introduction unless you’ve been living under a rock. The movies for this series are actually really good as well. Yes, okay, I know what you’re thinking – zombies, Bec? Really? But honestly, this book had me looking over my shoulder for days afterwards because it was so realistic. It’s written in journalistic style as though someone has actually been documenting what happened when the world was overtaken by a virus which turns people into zombies. Deeply political and absolutely terrifying, World War Z manages to make you believe it could actually happen. If you haven’t read this and you love intelligent Monty Python-style humour, but in space, get yourself a copy ASAP. Or just watch the movie, which is also very good. Intelligent humour with a really quite bizarre premise. Set in an alternate reality where literature is valued above almost everything else, it follows a detective – named Thursday Next – who must solve literary mysteries such as missing original manuscripts and manuscript forgeries. Oh, and the laws of physics don’t really apply either. Plus some story book characters are actually real. It’s sheer madness but lots of fun and extremely well written. Reading All the Light We Cannot See was an incredible experience. It’s a book about World War II which isn’t really about the war. It’s about science and learning and childhood and growing up. It won the Pulitzer Prize for a very good reason. Read my full review here. This was Geraldine Brooks’ first foray into fiction writing after she moved over from journalism. I’m so glad she took the chance. 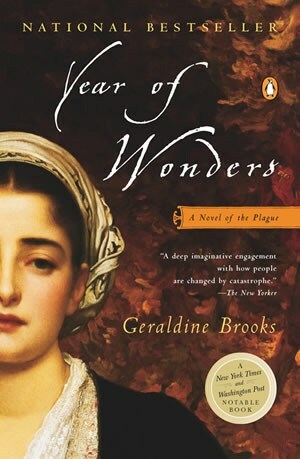 It’s a fabulous novel about one small English village’s experience of the plague. Beautiful writing and a really great way to learn about history – from someone who is both an excellent writer and a solid researcher. Based on the story of the last woman to receive the death penalty in nineteenth-century Iceland, Burial Rites is the imagined final weeks in the custody of a local family as the young woman’s recounts her life and the chain of events which lead to her being accused of murder. It’s a very powerful story, and a harrowing insight into the poverty of nineteenth-century Iceland. Set in a coastal town near post-WWII Perth, this is the heart-wrenching story of a living baby and a dead man washed up on the shore of a small island. The lighthouse keeper and his wife bury the man’s body and claim the baby as their own. But as the years roll by their decision has devastating consequences for everyone involved. This is a story where every character’s decision are ultimately understandable and you’re never quite sure who you should be cheering for. There are no winners. It took me a ridiculously long to realise that Emma Donoghue is the same author who wrote the massive bestseller, Room. She’s one of those writers who can switch genres very successfully. 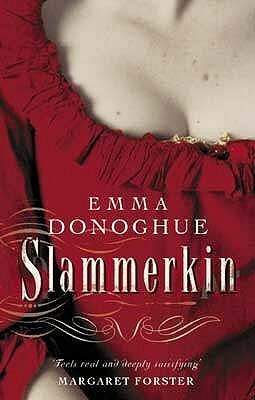 Slammerkin is historical fiction and is every bit as good as Room. It’s an epic story of a young girl in London who tries to escape poverty and winds up locked up in jail instead. The visual impact of her surrendering her virtue for the sake of a beautiful red ribbon against the back drop of grey London has stayed with me for many years. 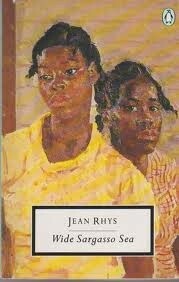 I read this not long after I read Jane Eyre. Wide Sargasso Sea is the imagined story behind Mr Rochester’s mad wife, Martha. Told from ‘Martha’s’ point of view, it tells a very different version of events – one where Mr Rochester is the bad guy who is seduced by the tropics and tricks a young girl into coming with him to England. Then abandons her and locks her in his attic when she is driven mad by her circumstances. It’s a powerful deconstruction and made me view Jane Eyre quite differently. I know, I know. I’m supposed to like Chocolat best. I’m a huge Joanne Harris fan and have read most of her books but this one is my favourite. Five Quarters of the Orange is a darker story about a girl trying to survive her chronically ill mother in a time when there was very little support and medical treatment for migraines was in its infancy (though some would argue we haven’t come a particularly long way still). I know opinion on this is mixed and to be honest I felt like just giving the main character a good shake for the first few dozen pages. But overall, I really loved this book. I’m honestly not sure I could read this again now that I have my own children. 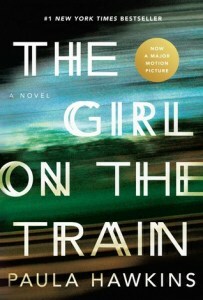 And I still can’t believe that anyone could make such a beautiful book about a girl who is abducted, raped and murdered. But that’s not really what this book is about. It’s about survival and coming to terms with a horrific event. And finding the beauty in life. So many of these make my list as well, though you’re brave (IMO) to even attempt a favourites list! So hard! Yeah, it was extremely difficult. I suspect it will change over time! Ah – a lot of my favourites too (but not Life of Pi – couldn’t stand it! I know a lot of people rave about it, but I just couldn’t engage with it. On the other hand I was amazed, in a horrified but impressed way, by one of his other novels, Beatrice and Virgil – which a number of people thought was abhorent). I love a book that makes me think, enough, and has someone who I can sympathise with. If it’s got a clear element of place, that’s always an advantage (I love grounding my reading in a location). Taste is such a difficult thing, isn’t it? Ha! I looooove hearing about extreme different opinions – reading is so subjective 🙂 I’ll have to look up Beatrice and Virgil, thank you! I just have too many to make a list! 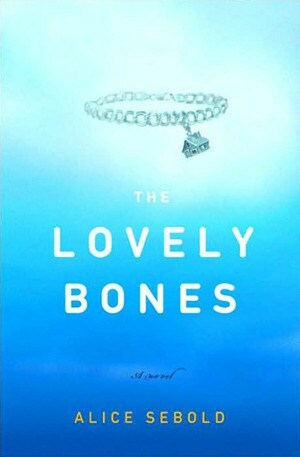 I did find The Lovely Bones amazing when I read it. And Hitchhiker’s Guide is brilliant. But I’ve always felt as though books ‘find me’ when I need them – so my favourites list will always change according to my life stage. I agree completely – I suspect my favourites list would have looked very different 10 years ago! I would list 9 of these as my favourites too. I’ve enjoyed a couple of books on your list. Others I haven’t heard of before so I’m going to choose one of those books to read next. Firstly, I think I’m hungry, as I read the blog post title as my favourite noodles of all time. Hmm. I have read exactly 0 of those books 🙂 I am finally getting back into reading again after the life stuff of the past 18 months and it’s interesting that some books I can just power through and others I want to like but find myself playing a game on my iPad instead. I’d like to be better at quitting reading books. I feel guilty (well it’s a bit of a strong word but close enough) because writing is hard and I don’t want to give up on someone’s hard work. Now you’ve made me hungry! I think it’s harder to read when you’re tired or unwell. I’ve been less tired and more well in the last 6 months or so, so I’ve been reading a lot more. What kind of books do you like to read? Oh, and I’m a big believer in giving up on books that don’t grab you – too many books, too little time. I used to like Ancient Egyptian fiction, then the translations (they were written in French) got sloppy and it destroyed my love for the books. These days I like “good non fiction”. Which is soooo specific haha. Bookmarking this post for when we go away. I’ve seen some of the movies to these, but not read the books. Loved The Hunger Games books. I saw the first movie and then wanted to know what would happen in the next movies, so I bought the trilogy and bought the books to read instead. I think I will be doing the same with Outlander. I’m thinking of just reading the Outlander books – I’ve heard they’re really good and not quite like the TV series, which I found hard to get into. You haven’t read Outlander, Bec? Get on it – so much better than the TV series – which I found terrible. You more brave than me, setting yourself this task. We have very similar tastes by the sound it… I also loved The Time Traveler’s Wife, Life of Pi, The Hunger Games, Hitchhiker’s Guide, The Eyre Affair, Year of Wonders and I’ve been meaning to read Five Quarters of the Orange for years. And now, on the basis of your list, I will be adding Slammerkin to my wishlist – thanks Rebecca! A kindred reading spirit! 🙂 It’s such a broad range of genres. I hope you enjoy Slammerkin. Great list! There’s a few there I haven’t yet read including Life of Pi. I really must! People either love it or they hate it. Let me know which camp you fall into! I honestly thought I hadn’t read ANY of these – til I got to the last one. The Lovely Bones was indeed a lovely book. The movie really didn’t live up to its promise. Ha! We must have very different reading tastes! I haven’t seen the movie – I’m not sure I could handle seeing it in full colour on screen. The Fault in Our Stars is one of my all time favourite reads. A lot of these titles are on my To-Read list. So much awesome! I love John Green’s books. I must read more – I’ve got ‘Looking for Alaska’ and loved that one too. Looks like we have similar reading habits!! I recently read The Nightingale by Kristin Hannah, and loved loved loved it!! Thanks for sharing your list!